Although not the ideal way to lose weight, weight loss drugs are a very popular phenomenon in the quest to lose weight rapidly. 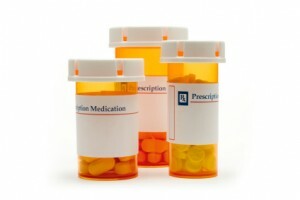 Your doctor can prescribe weight loss drugs that are specific to your needs, or you can try an over-the-counter drug. Either way, drugs should only be taken under the supervision of your doctor, who knows your needs and any pre-existing health conditions. Listed here are several weight loss drugs, both prescription and over-the-counter. Phentermine is a prescription drug that works by stimulating adrenaline levels in order to suppress the appetite. It is meant to be used in short intervals and only by very overweight patients. It is also meant to be an aid to regular diet and exercise. Side effects, although not common, can be weight gain, irregular heartbeat, high blood pressure, diarrhea, and headaches. Orlistat, a prescription drug, also known as Xenical, prevents the digestive system from absorbing fat. Xenical differs from most other prescription weight-loss drugs in that most other drugs are appetite suppressants, whereas Xenical directly effects the digestive system. Weight loss while on Orlistat is a guarantee, although it comes with unpleasant side effects such as flatulence, greasy bowel movements, and sudden diarrhea. However, these side effects can be minimized by consuming low-fat foods. For most people Meridia seems to be a very safe prescription drug. It works to suppress appetite by convincing the brain’s neurotransmitters that you are feeling full. Side effects are rare but can be severe, such as dangerously high blood pressure, and depression. Alli is a new over-the-counter drug that is actually Xenical in a low-dose form. It works by preventing the body from absorbing fat during digestion. Chitosan is an over-the-counter supplement made from the chitin, which is found in the skeleton of shellfish. Chitosan binds with fat, and is supposed to help prevent fat from being digested by the body. Taking aloe orally is supposed to cause a strong laxative effect. It should not be taken by people with stomach disorders such as Crohn’s disease. There are unpleasant side effects such as diarrhea and cramping, and it may interact with prescription heart medications. Taking dandelion causes diuretic effects. It may cause weight loss that is primarily just water. It can also cause allergic reactions or stomach aches. Green tea is supposed to stimulate calorie burning. It must be taken multiple times a day in order to see results. It is also supposed to act as an appetite suppressant. It is not a good idea to drink more than a cup of green tea per day if you are sensitive to the effects of caffeine. Guar gum acts as a binding agent and is commonly used to create a thick texture in foods or in medications. Guar gum swells in water, and is meant to give the stomach a feeling of fullness because it expands when ingested. Side effects may be dangerous, including causing abdominal obstruction if overused. Acai berry is a fruit that grows in the Amazon Forest. It has recently become known as a trendy weight-loss drug. Acai berry is supposed to be an appetite suppressant, anti-inflammatory, and metabolism booster. It is also full of anti-oxidant properties and many people report success taking acai berry. Some even take it along with a colon cleanse product simultaneously for maximum results. Whatever weight loss drug you decide to try, be sure to seek the advice of your physician. Weight loss drugs can have powerful and dangerous side effects. By choosing the right one, you can minimize these side effects and obtain great weight loss results to jumpstart your healthy lifestyle. Losing those initial first pounds quickly may be the key to motivation.